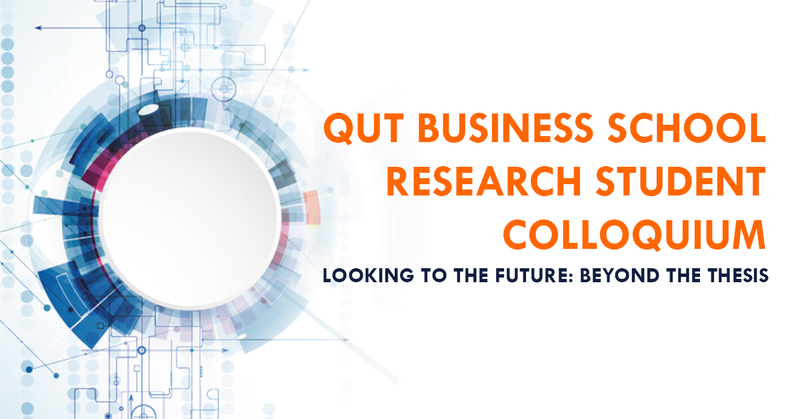 The QUT Business School Research Student Colloquium is returning in 2018 with the theme of ‘Looking to the future: Beyond the Thesis’. Hosted by the Schools of Advertising, Marketing and Public Relations, Economics and Finance, and Management, the Research Student Colloquium is designed to give research students (Honours, Masters and PhD) the opportunity to present their research in a supportive environment. The event promises to be both intriguing and informative, registrations are now open. Come and find out what the QUT Business School has to offer in the latest research by students and join the academics of the QUT Business school for a day of networking and insights.